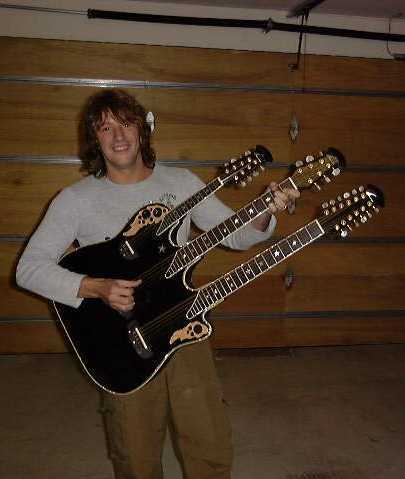 When you're the guitarist for a platinum-selling hair band like Bon Jovi, what do you do with all your money? I guess you call the Ovation custom shop once a week. Who does this guy think he is, John Paul Jones?